SAVE ON PROFESSIONAL GROUT CLEANING TODAY! Grout accumulates dirt and bacteria over time, especially in areas that receive the most use such as the bathroom and kitchen. Tiles, especially those found in the busiest parts of a home, can accumulate a noticeable of dirt over time. Damaged grout filled with cracks and missing segments is both visually unappealing and a danger to the underlying floor structure. The main purpose of caulk is that it ensures water is kept from leaking into unwanted areas and insulation remains intact. The Grout Specialist is your one­stop shop for all your tile cleaning and grout restoration needs. We do the majority of our cleaning with hi temp, low pressure steam with Eco Friendly cleaners. This process does not damage grout and also sanitizes. The Grout Specialist™ is your one­stop shop for all your tile and grout needs. 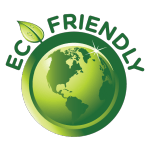 We are family owned and operated and eco friendly with environmentally preferred cleaning products. We do the majority of our cleaning with hi temp, low pressure steam with Eco Friendly cleaners. This process does not damage grout and also sanitizes. A variety of the services we provide include, Grout Cleaning and Re-caulking, in order to help your home look its best. Years of wear and tear, especially in busy areas of the home like the kitchen and bathroom, will inevitably begin to show signs of use over time. Rather than allow those issues to progress, wise homeowners contact our specialists to find out how we can revamp and repair the areas that need special attention before they have the chance to worsen. The Grout Specialist were very prompt, extremely courteous and hard working. Both Aaron and Ed worked in my home and did an excellent job on both my shower grout & tile cleaning as well as kitchen counter recaulk & grout cleaning. Their products are safe & natural. I would recommend them any time! Aaron and his team were super professional, their work impeccable, and their pricing is very reasonable. We had them repair the grout in 3 bathrooms, an entryway and 2 showers. I would highly recommend them to anyone. Very pleased with this company. They care as much about your home as you do. Very clean work habits. The tile and grout look amazing throughout including baths, kitchen, shower, tub room. They took out some old grout and replaced it, cleaned up some places that was over and above what would be expected. I am so glad that I found this wonderful company. Very responsive, professional, and thorough ... took excellent care of our grout, tile, & granite, and gave us contacts for some other work we knew we needed. Nice to deal with a family owned multi-generational business; a pleasure to have them in our house all day today! Aaron did an amazing job. He removed and replaced all of the moldy caulking around the tub, cleaned all the grout and tile around the shower, and cleaned and sealed the marble floor and grout. He did an impeccable job! He was on time, very professional and very considerate. I will definitely hire him again. My name is Carol - my husband and I had originally had our kitchen floor tiled by a neighbor, who needed the work. It was a disaster, so we called Aaron at the Grout Specialist. He diagnosed the problem areas, and spent a full day repairing and re-tiling portions of the kitchen. He was wonderful in every way - professional, thorough, delightful to work with, and the floor looks fantastic. So thankful to have found him!